From Rome to Cannes we passed by Pisa a nice small town in Italy where it is famous for its leaning tower. If you are driving from Rome to Cannes this is a nice place to stop over for lunch, if you leave at 8AM in Rome you will be in Pisa at lunch time, then spend two to three hours before driving off to Cannes which will take you around 4 hours and 15 minutes. Like any other famous landmarks in Europe it is filled with tourists and since it is a tourist spot you would instantly think that prices here would be really expensive, well to our surprise it was not. 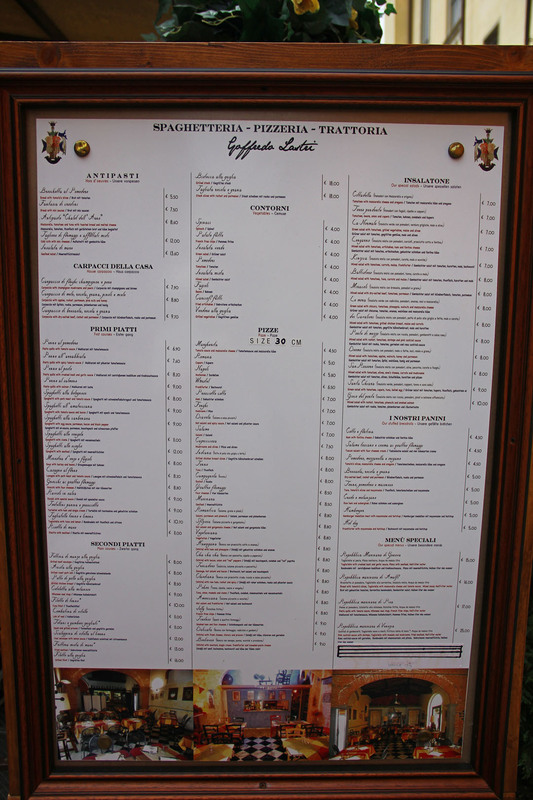 This seems to hold true to most Italian establishments we tried, their prices are quite reasonable. Take restaurant for example, it is just roughly 300 metres from the tower itself, pizza are priced starting at EUR 4.30 and their most expensive ones are EUR 9.10 isn’t that a great deal? Lastri Goffredo a small and cosy restaurant just nearly beside the Leaning Tower, they offer everything Italian from salads, pasta and pizza at a really good price. Affordable though does not equate to average food as we tried several pasta, risotto and pizza from this restaurant and they were great. 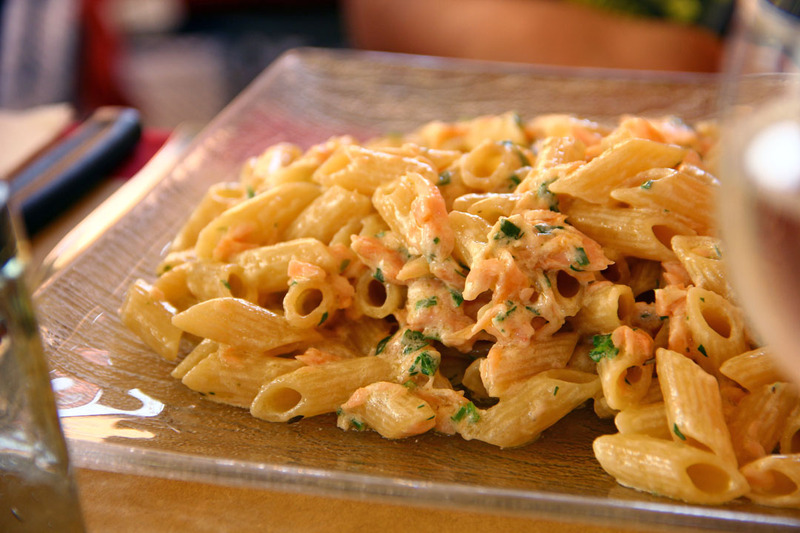 First on order was the Penne al Salmon (EUR 9.00) which contains a lots of flaked salmon, sure it was tasty and creamy. 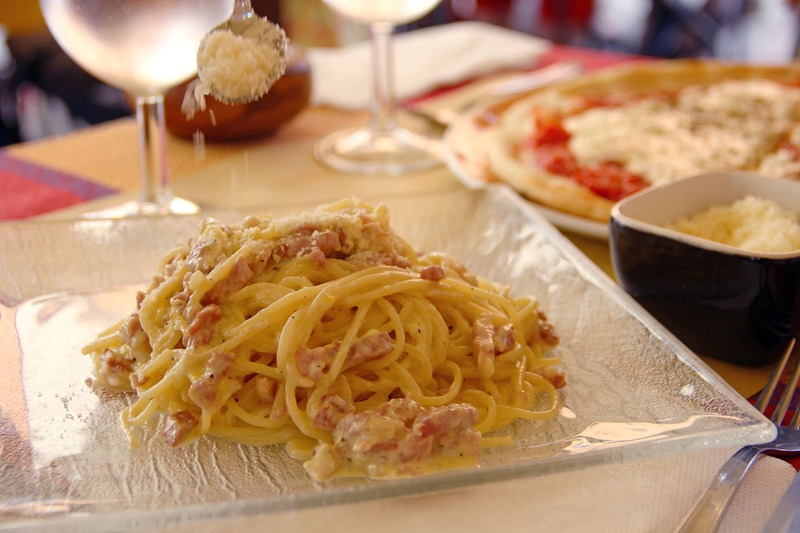 Both pasta are cooked perfectly with an al dente texture. 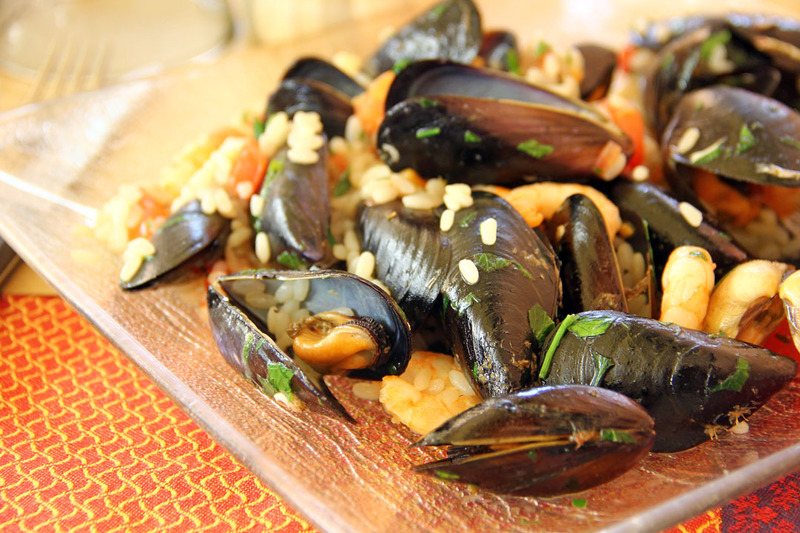 For my order it was the Risotto de Mare (EUR 11.00) which is loaded with mussels, prawns and cuttle fish, I barely see the rice at all which I liked, I am a seafood lover. 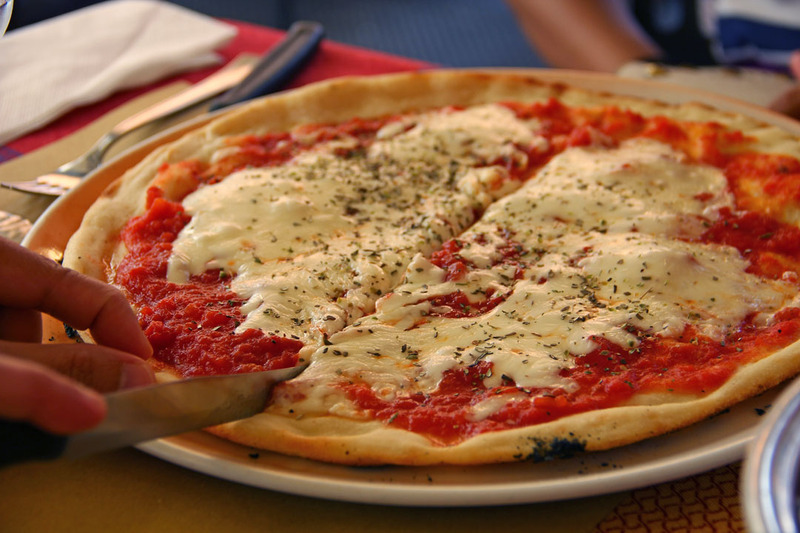 Then for our pizza it was the classic Margherita (EUR 4.50), very affordable and it was really good, the tomatoes used tasted really robust. Overall everything was great from food to service, the place was clean and does not feel really crowded. My only complain if there is any is that the water is quite expensive but it’s not just here everywhere in Europe that holds true, bottled water if I can remember costs nearly the same as the Margherita pizza. If the Margherita could just quench my thirst I will buy them instead. All looks fantastic! Have a great New Year! What a great place! Super looking menu. I agree on the price of bottled water – it can be insane! Fun post – thanks.